Until the mysterious whispers arrive, followed by a stranger who holds what may be the key to the city’s ultimate survival. Manhattan has fallen to ruin, and the people are trying to make a life as best they can in this dystopian future. This is a very dark novel, and frightening to consider as a possibility. The story is very raw, and almost depressing, showing life in this world as far from ideal. Although the people make the most of things, and have a real community atmosphere, the cons seem to outweigh the pros, and for the majority of the novel I just felt sorry for them. I really liked the culture nods Brevis made here. I liked that many years in the future so many things had evolved, such as language and cultural norms. I particularly loved the way people would travel for miles to celebrate a newborn baby of a far-removed relative. And what a party they had! This sense of community was a real draw for me - the people were sticking together in their difficult lifestyles, and pulling through. 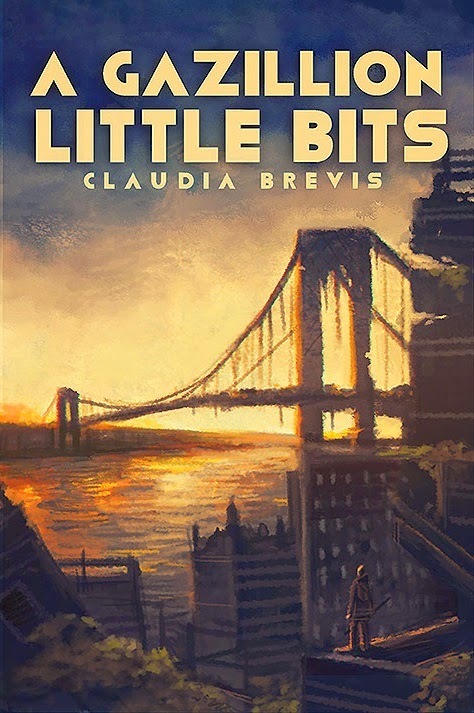 My main issue with the novel was, due to its sci-fi/dystopian nature, Brevis created words or terms, and used them as though the reader would understand. I usually like this, as I usually work out for myself what these terms mean over the course of the novel. Here, however, it felt there were just far too many to fathom, and Brevis didn't do a great job of explaining them to the reader. The confusion escalated for me, as I found certain characters bled into each other, and this, along with the multiple voice narrative, made me dizzy trying to follow the plot. Overall, the book was like a dream: tangled, surreal, and I was very disorientated, and confused as to what was going on. Brevis clearly has a wonderful imagination; the idea is very exciting, however I feel it could do with some simplification.